20% of proceeds from the sale of Sweetpea’s work will be donated to Artbeat Studio Inc.
Sweetpea’s free and open style is stand-alone, and yet continues to evolve traditions of other First Nations artists, such as Benjamin Chee Chee, Clemence Wescoupe and Isaac Bignell. 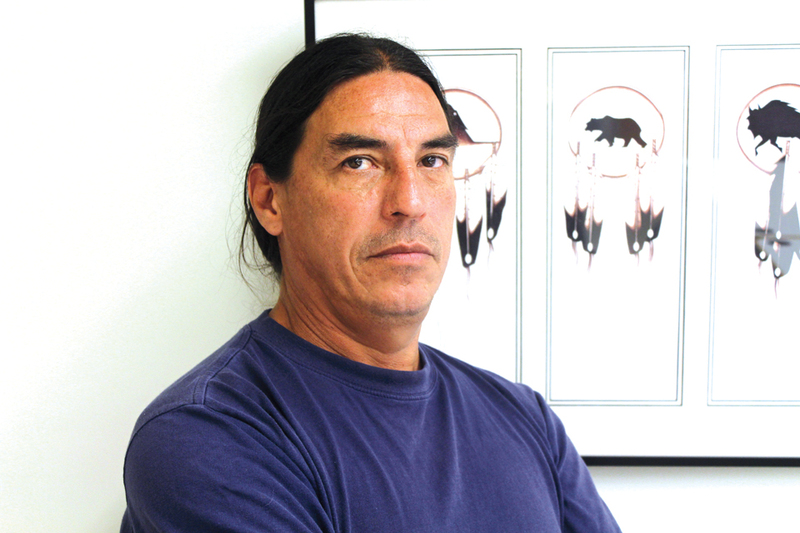 An Ojibway artist from Brokenhead First Nation, Sweetpea draws on his Aboriginal heritage in his portrayals of young warriors and shield paintings. His depictions of wildlife, particularly of geese, convey a sense of graceful strength and elegance. Sweetpea is an active volunteer with Artbeat Studio and Studio Central. His missive of support is included in Essence: Artbeat Annual 11.